These Thousand Island Shrimp Cocktail Pastry Cups take two retro dishes and transform them into one delicious party food bite. The classic British Prawn Cocktail and the 70’s vol-au-vent. 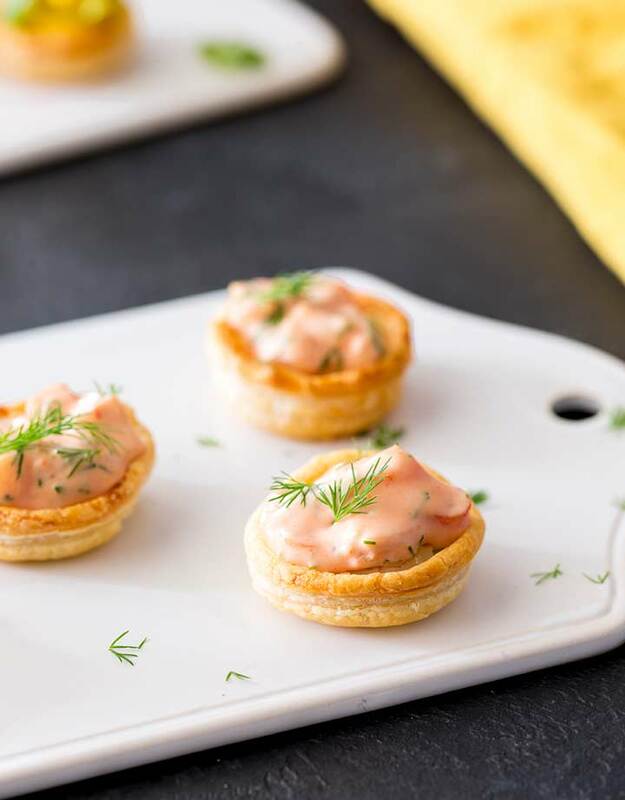 The shrimps are stirred through a creamy thousand island sauce, enhanced with fresh dill then piled into a delicate puff pastry cup. These are the perfect easy appetizer for a party or evening entertaining. Thousand Island sauce starts with a base of mayonnaise and tomato ketchup. Very like a marie rose sauce! Both tend to have a dash of worcestershire sauce and maybe a pinch of paprika. However thousand island sauce tends to have a little more acidity to it, lemon juice/capers/pickles are added to give it a little more bite. In this thousand island shrimp cocktail I add chopped capers and then some fresh dill. The ratio of mayo to ketchup is a bit of a personal preference. Some people like it really tomatoey and others prefer the pale creamy hit of mayonnaise. My advice is taste it. Add little more mayo if it is too sharp, or if you need more oomph then add a little more ketchup. My perfect thousand island dressing ratio is 1:4. So for every tablespoon of ketchup I add 4 tablespoons of mayonnaise. 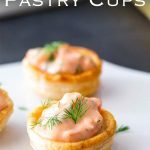 Can I use store bought pastry cups? OH YES!!!!!! If you can find pre-made pastry cups (or vol-au-vent cases) then go right ahead and use those!!!! It takes away a full step of the recipe and when we are planning for a party those little shortcuts can shave you a ton of time! If you can find pastry that has been made with real butter, they may cost a little more but real butter pastry is flakey and melts in the mouth. A packet of 24 puff pastry cups will be enough for this recipe. Whether you use store bought or make your own, make sure they are completely cool before adding the thousand island shrimp cocktail mixture. 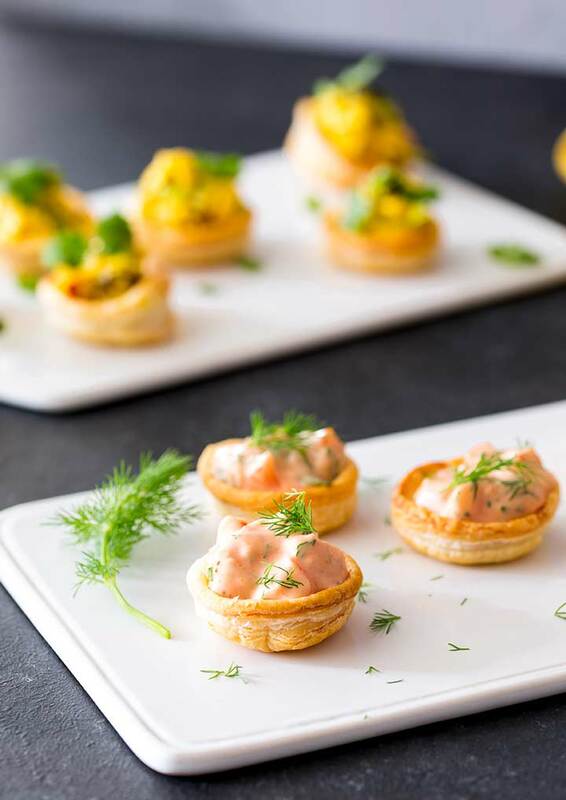 These Thousand Island Shrimp Cocktail Pastry Cups take two retro dishes and transform them into one delicious party food bite. The classic British Prawn Cocktail and the 70's vol-au-vent. 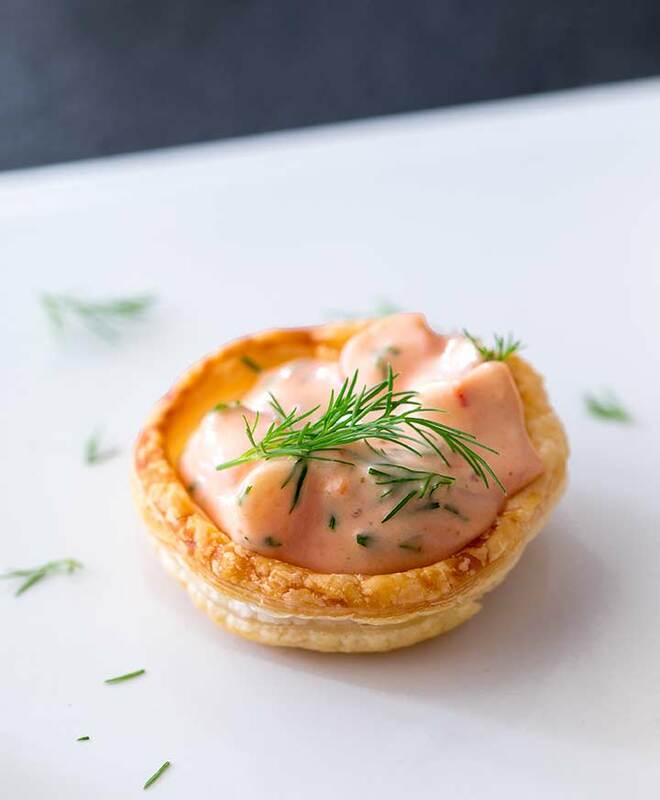 The shrimps are stirred through a creamy thousand island sauce, enhanced with fresh dill then piled into a delicate puff pastry cup. These are the perfect easy appetizer for a party or evening entertaining. Place the pastry sheet on a floured surface to defrost. Once they have defrosted take a smooth 2″ (5cm) pastry cutter and dip the edge into some flour then cut out 12 circles from each sheet of pastry. Dip the cutter after every disk. Use a smaller cutter to score a smaller circle in the middle of each disk. Bake for 20 minutes until golden and puffed up. Remove them for from the oven and let them cool on a wire rack. Once the cups are cooled place them onto a flat service and use the handle of a wooden spoon to carefully push the centre of the pastry cup down. The cups can now be kept in an airtight container for up to 2 days. Mix the mayonnaise, tomato ketchup and Worcestershire sauce together until you have a smooth sauce. Finely chop the capers and add them to the sauce along with the fresh dill and a pinch of paprika. Chop the shrimps into 3 or 4 pieces and mix them into the sauce. 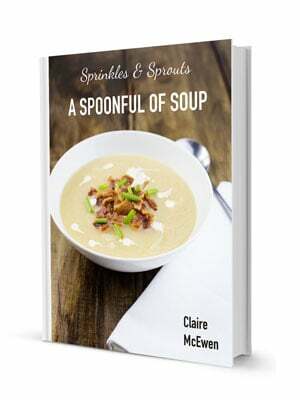 Spoon a heaped teaspoon of the mixture into each pastry cup and garnish with a little dill. 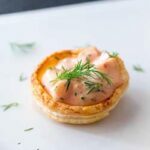 If you love food why not subscribe to my newsletter, I will drop you an email every now and then, just to say hi and send you a couple of recipes think you might love, like these Shrimp Pastry Cups. This is such an easy and elegant party app idea! Love it! I love using Thousand Island dressing in recipes other than over a salad and your shrimp cocktail cups look absolutely amazing !